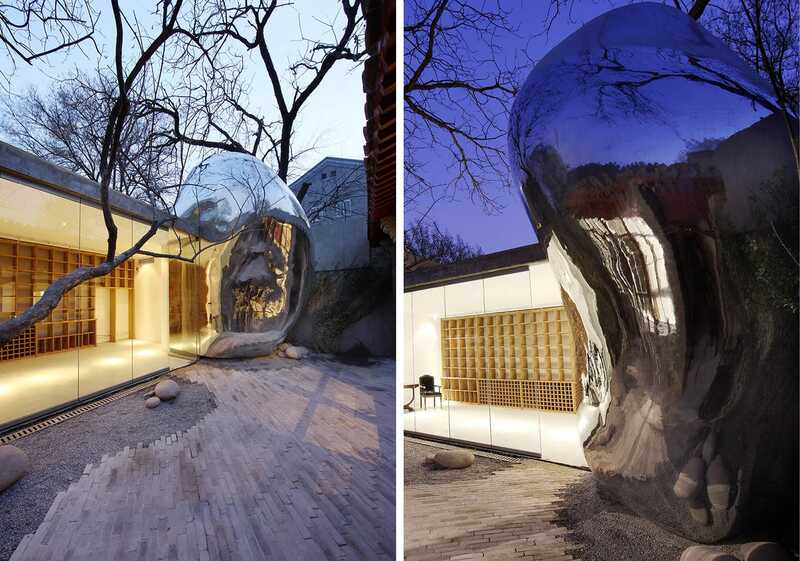 MAD Architects：During the 2006 Venice architecture biennale, mad’s urban concept work ” Beijing 2050″ debuted in the Venice solo exhibition MAD IN CHINA.The bubbles scattered like drops of water in the hutong in the old city of Beijing appeared in the small courtyard at No. 32 north military forces hutong in the old city of Beijing three years later. 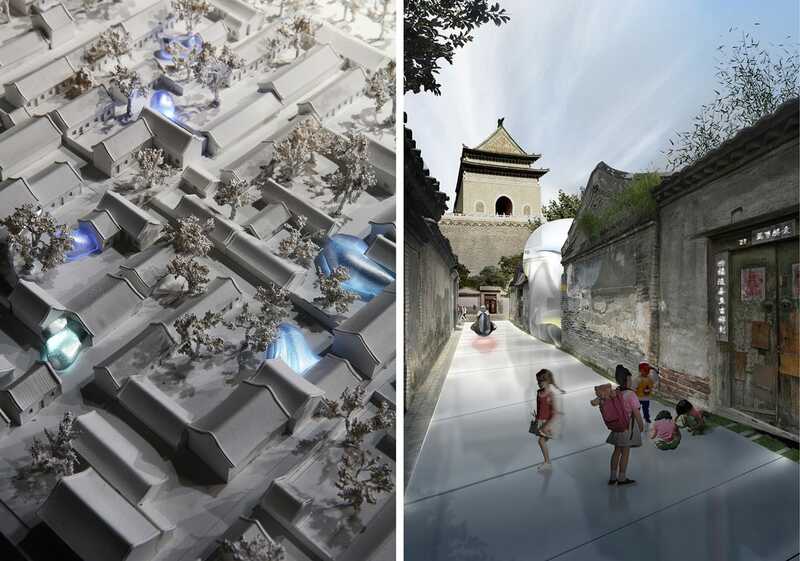 ” Beijing 2050″ depicts three dreams about the future of Beijing city – Tiananmen square covered with green forests, an air city floating over Beijing CBD, and hutong bubbles implanted into quadrangles. The large-scale urban development promoted by economic development is gradually approaching the traditional urban texture of Beijing. Old buildings, chaotic structures, changes in neighborhood relations and the lack of necessary sanitation facilities have turned this originally beautiful and serene living space into a big urban problem – quadrangles are gradually becoming the hell of the common people, the private paradise of the rich and the theme parks of tourists. Facing this kind of decline and abuse originating from urban cells, we need to change the reality from the level of life. 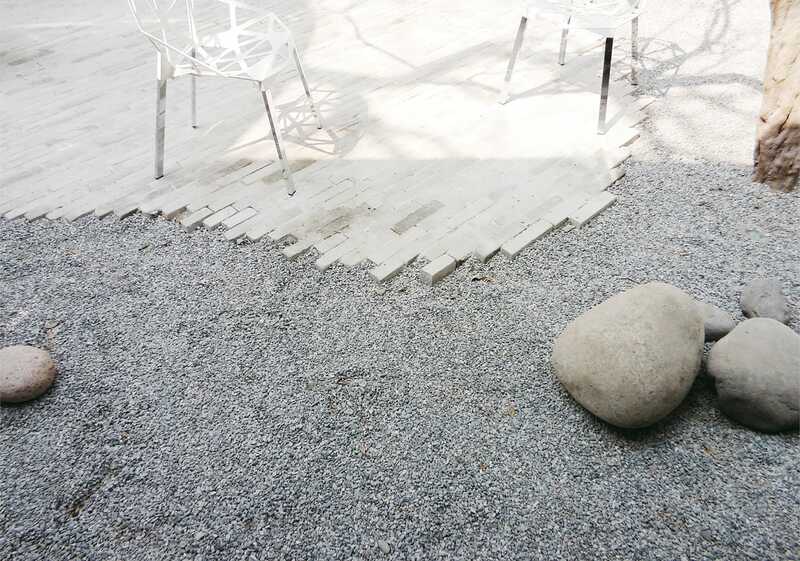 It is not necessary to adopt large-scale reconstruction, but some small-scale elements can be inserted to update living conditions and activate neighborhood relations like magnets. Complement each other with other old houses and give their own lives. At the same time, these elements should have the possibility of reproduction. on the basis of adapting to various needs of life, they can achieve the recovery of the whole community by changing local conditions. As a result, residents who have lived here for generations can continue to live happily here. these elements will also become part of history and become metabolic city cells. 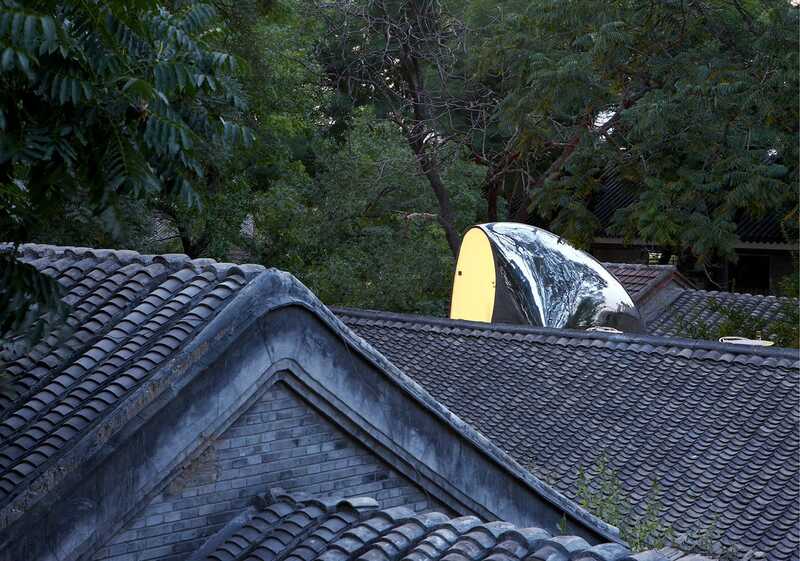 Surprisingly, this micro-utopian ideal began to appear in Beijing’s quadrangles three years after the exhibition. 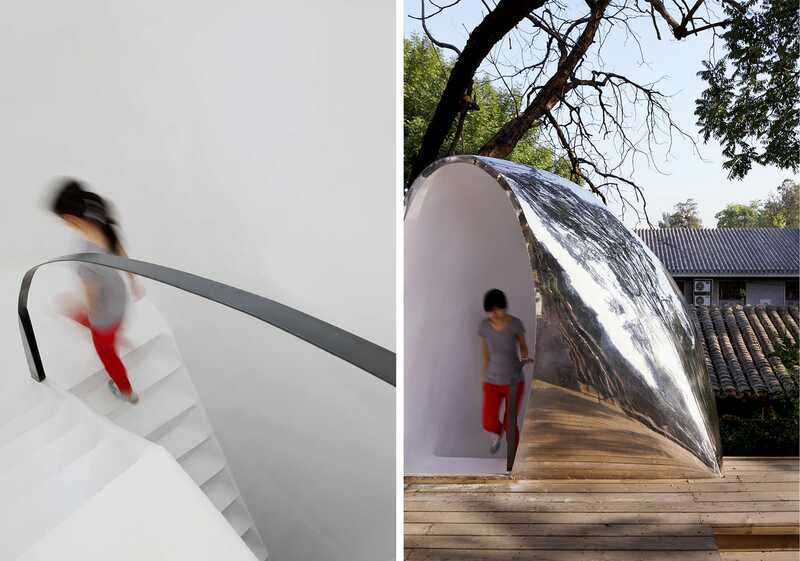 The first ” bubble 32″ is an added toilet and stairs leading to the roof platform. 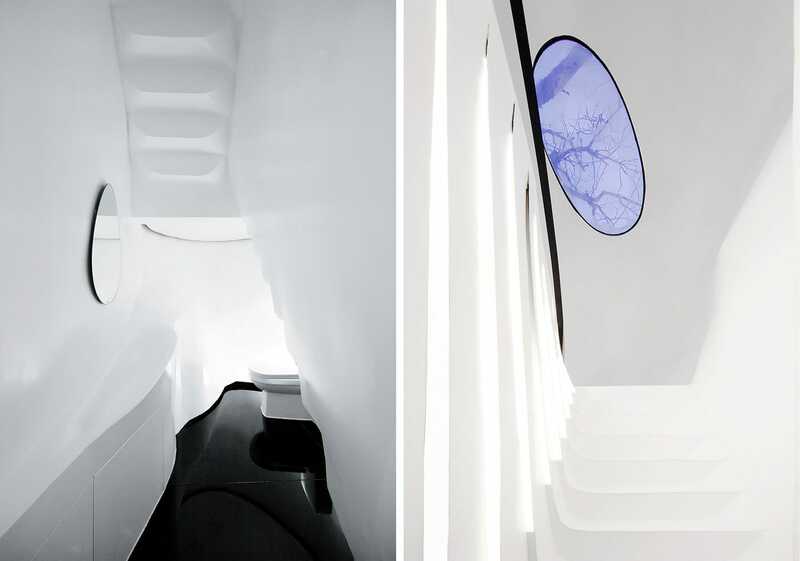 it looks like a small living body from outer space. 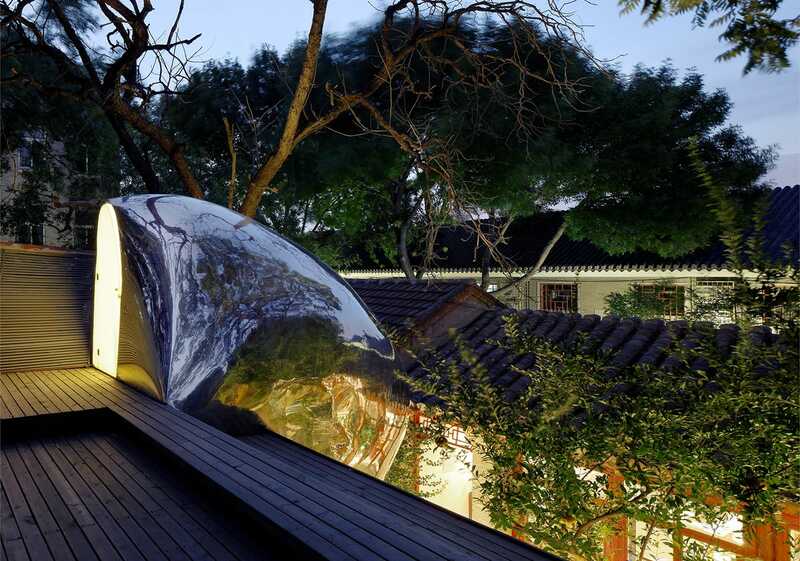 the smooth metal curved surface reflects the ancient buildings in the courtyard, trees and sky. Let history, nature and the future coexist in a dream world. 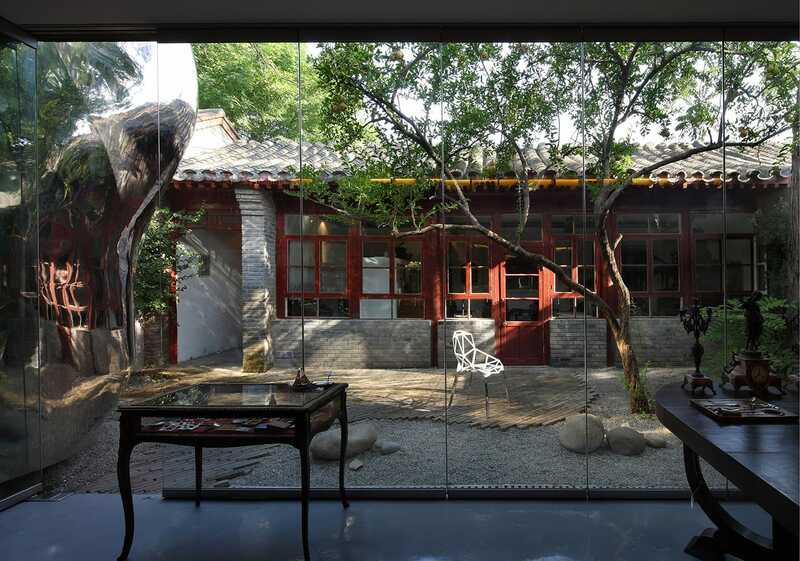 The real city ideal of hutong bubble is to connect the ancient city of Beijing with everyone’s dream. in the drastic changes in the city, we must reconsider where Beijing’s long-term goal and imagination are. 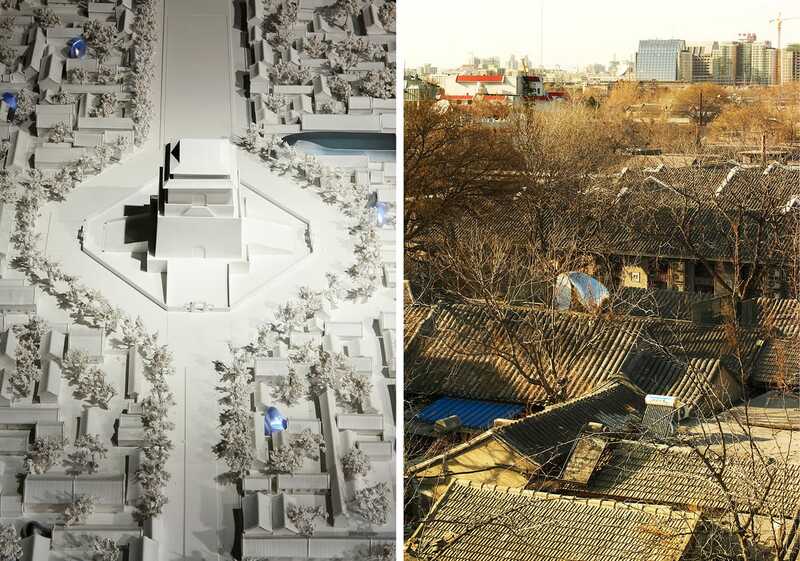 Perhaps we can shift our focus away from those large monument buildings and begin to pay attention to the improvement of people’s daily life and the reconstruction of community life. 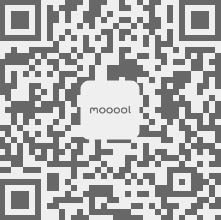 Construction unit: Beijing Nader environmental art design co., ltd.